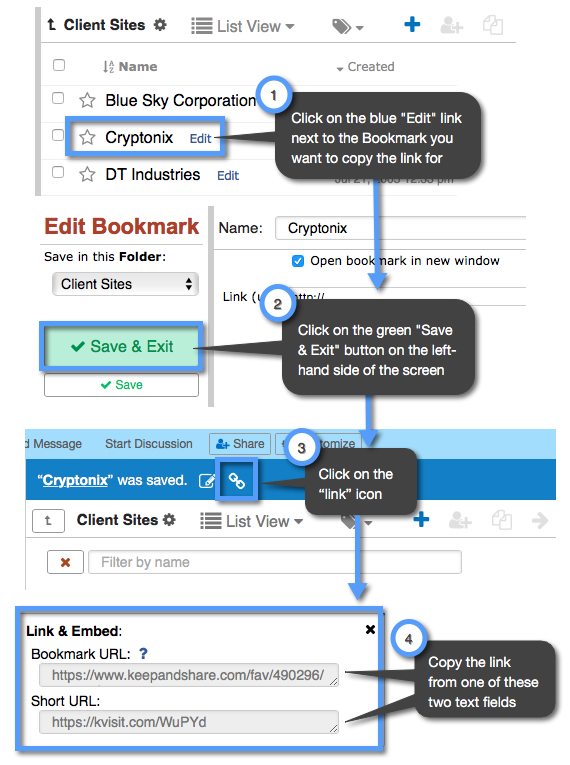 It’s easy to have your blogs, emails or web pages have a link to Bookmarks in your account. When you use the “Bookmark URL” link it creates a unique Keep&Share link to your Bookmark. When someone clicks on that link, the person will be redirected to the website your Bookmark is linked to, just as if that person clicked on the Bookmark in your account. When you are copying your link for your bookmark, you will notice that you have two link options: the “Bookmark URL” and the “Short URL.” In the example below, we list what the Bookmark URL will look like versus the Short URL.